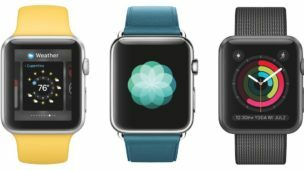 Apple has made some pretty big strides of late with its operating systems and their integrations with each other. But there are still a few daily niggles that cause friction. One of those niggles for me is clipboard management. There have long-been a good selection of clipboard manager apps for the Mac which allow you to access your clipboard history. To perform such tasks cross-device I always end up emailing links, text or images to myself. 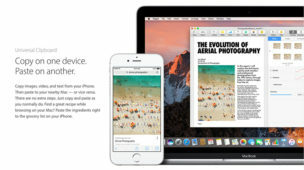 Airdrop is too slow to connect most of the time, and handoff is useful if you want to open a webpage or an email (or other content types that are supported) that is already open on Mac to an iOS device, but there are scenarios when I don’t want to open it first on desktop just to handover. Handover is also very immediate, sometimes I might want to access something on a different device later. Partly inspired by the recent iOS9 long-press Safari URL field ‘Paste and go’ or ‘Paste and search’ shortcuts, also now that Apple’s iCloud infrastructure seems fast and reliable, I wondered if a there could be a way to enable an Apple-ID shared clipboard with recent history? The idea would be that any Apple device you are logged into and is connected to the internet can access and add to a shared cloud clipboard. Copy a URL on your Mac, paste it directly into the address bar on your iPhone. Copy some text on your iPad and paste it straight into a doc on your Mac. The secret to making this work would be ensuring the iCloud Clipboard is easily accessible at the point of pasting. The obvious place would be in the copy/paste dialogue that appears after a long press in a text field. The regular ‘paste’ function could be replaced by ‘Paste last’ (as there are multiple clipboard items now), next to which a small iCloud logo could live to access the full clipboard history. Likewise the same functionality could be used to ‘Paste last and go’ and ‘Paste last and search’ directly from the iCloud clipboard into the Safari URL field. 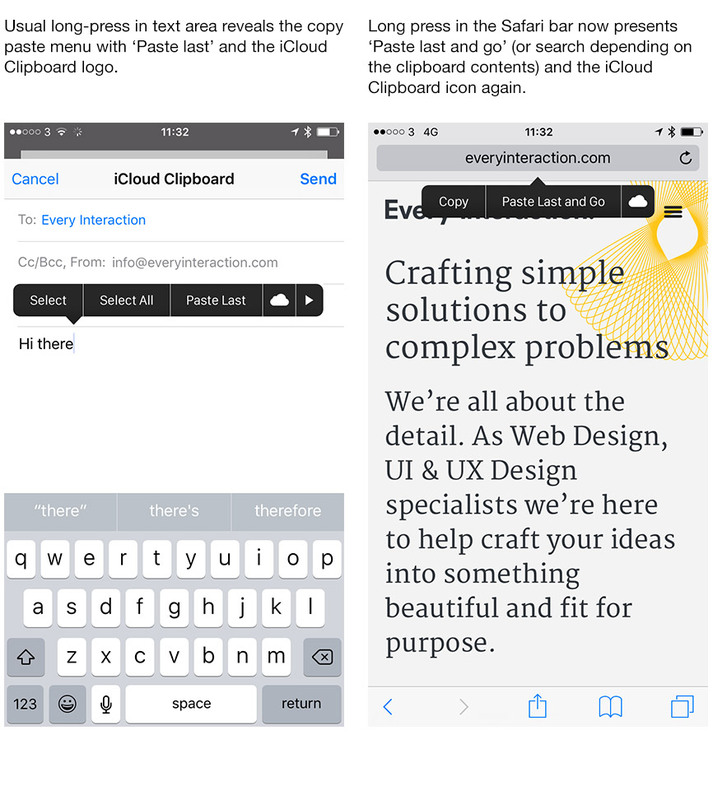 The iCloud clipboard selector can also be intelligent and only present relevant options for the context – for example if pasting into the Safari address bar only shorter text snippets or URLs could be displayed. 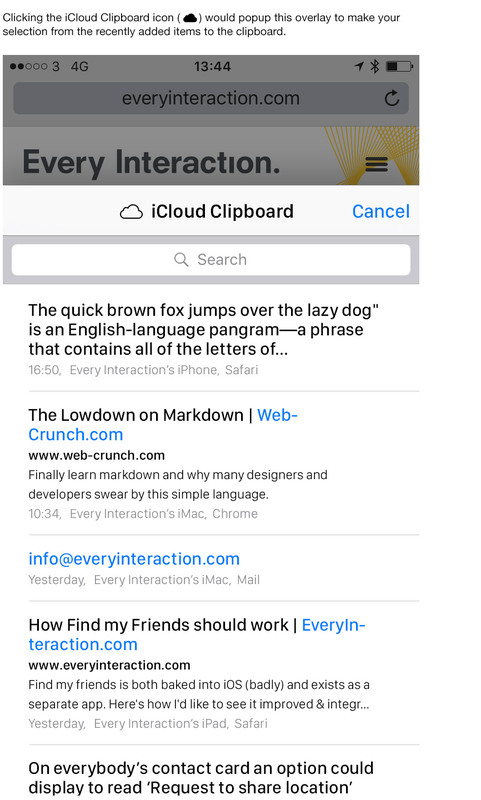 The iCloud clipboard view could be similar to the iCloud Drive app, but should appear contextually over the content you are pasting into. It’s possible you could add a new section to the existing iCloud Drive app, or even create a new app just for iCloud Clipboard allowing the user to access the clipboard as a starting point for an interaction. There would need to be sensible limits put on this functionality such as copying large files or perhaps files of any kind would only be supported on Macs. Other storage based solution should be used for document transfer and sharing. Also the number of items held in the clipboard could be limited. Just an idea, and there are likely many things I’ve not given the time to properly consider here, but the fundamental idea has legs and would be great to see Apple explore something like this in future iOS and Mac OS releases.